Neural therapy, a form of mesotherapy, is a treatment that is used to treat chronic pain, chronic illness, and athletic injuries. This therapy was first developed in Germany and is currently most prominently used throughout many European countries. Dr. Jason Black is one of few physicians who use neural therapy in the United States. The physicians at A Family Healing Center enjoy using neural therapy because its approach most closely parallels the philosophy of naturopathic medicine. Neural therapy uses non-toxic medications, is quick acting, has limited side effects, reverses the disease process, restores tissue to its normal functioning state, and offers long lasting results. The neural therapy procedure is easily administered because it is a non-invasive procedure which consists of micro-injections of medications into and under the skin, allowing small amounts of medicine to be delivered to the site of injury without affecting the rest of the body. The non-toxic medications consist of the local anesthetic procaine and specific plant derived homeopathic medications. Neural therapy is unique in that the specific applications of the medicines into the skin or dermis allows for a time-release dosing system, which allows for both immediate and long-term relief of symptoms. This application can provide relief from weeks, to months, and even years when the injections are performed correctly. While this procedure is effective for any person suffering from pain, athletes and people who are active especially appreciate this procedure because of neural therapy’s quick acting results with limited side effects and no systemic damage that are too commonly seen with oral pain relief medications. Within the nervous system, there are two different and contrasting systems, the sympathetic system and the parasympathetic systems. The parasympathetic system is responsible for digestion, rest, repair, and sexual function. The sympathetic system is responsible for our flight or fight response including protecting us during injuries/pain. When a person is in pain, they are what we call, “sympathetic dominant,” meaning the sympathetic system is the prominent system functioning at most times throughout the day. Continued sympathetic dominance severely inhibits a person’s ability to heal and leads to chronically elevated inflammation in the body. Neural therapy shifts the body into a more parasympathetic state promoting healing and repair. Neural therapy consists of injecting procaine and homeopathics into the epidermis and subcutaneous tissue where there is the highest concentration of pain fibers. Normally an area of pain within the body is consistently firing nerve impulses and rests in a slightly aggravated or partially excited state. Injections into pain areas scramble the pain signal from the pain fibers to the brain, and help to reduce the pain fiber back down to its normal resting state, re-setting the proper peripheral communication so that the body can again see itself as well. Neural Therapy injections help to drain inflammation by flushing lymphatic tissue, stimulating white blood cells to promote healing, and providing nutrition to soft tissue for healing. One of the very special and unique qualities of neural therapy, specifically with the use of procaine, is that procaine is metabolized into DMAE and PABA, which are nutritive to the nerves, act as co-factors to help facilitate metabolism, offer anti-oxidant support, and have anti-aging qualities. 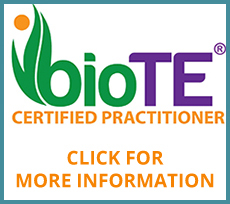 Most importantly, these nutrients can be directed to specific areas by an experienced physician; this is a technique that is extremely exclusive and individualized to the patient that cannot be attained by taking these nutrients orally. Dr. Jason Black has studied under world renowned physician and lecturer, Dr. Dietrich Klinghardt, M.D., PhD who is the foremost authority on neural therapy in North America. Call today to set up a free consultation to see if neural therapy may be right for you.